Professor emeritus Clark Kerr, former Berkeley chancellor and President of the University of California, earned his Ph.D. in 1939 under Paul Schuster Taylor, M.A. '20, Ph.D. '22. 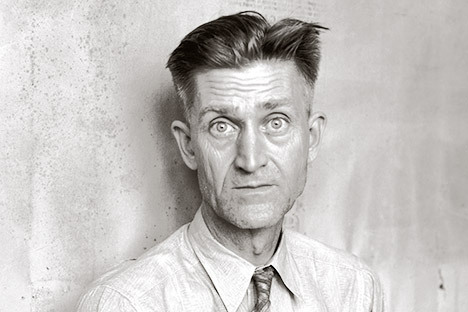 Taylor achieved international notice for his writing and for the work he did with his wife, photographer Dorothea Lange, on the poor and dispossessed. 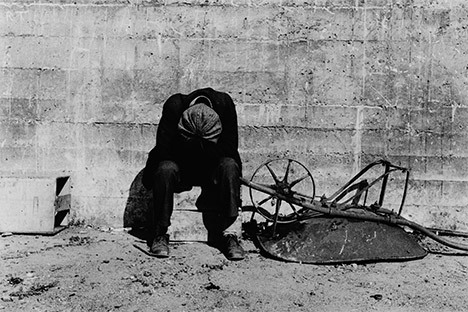 Kerr's recollections of these two Californians are adapted from his chapter in Dorothea Lange: A Visual Life, edited by Elizabeth Partridge '74 and published by Smithsonian Press. Paul Schuster Taylor was an explorer, not of seas and continents, but of nearly unnoticed social events as they began to take form. He was among the first to put several of these events on the map of history, to make them part of terra cognito. He began with the early migration of Mexicans to California, to south Texas, to Colorado, to Chicago, to Bethlehem, Pennsylvania, in a series of studies published by the University in the late 1920s and early 1930s. He turned then to the unemployed, when one-quarter of the American labor force was fully unemployed and another quarter was partially unemployed. It was at this point that I first met Paul; he invited me to be his research assistant, starting in the fall of 1933. I had hardly arrived in Berkeley when the largest and bloodiest strike of agricultural workers in American history began in the San Joaquin Valley. I spent six weeks in the Valley, and Paul came down on weekends. He gave me only two instructions: to record what people said -- their own words -- and to send him my notes as soon as possible. I gathered later that these were the same instructions Paul first gave to Dorothea Lange, except that she worked with photographs and I with notes. Paul first came in contact with Dorothea's photographs in the summer of 1934, when he saw her picture of a strike orator in a local art gallery. Dorothea was then a studio portrait photographer of local fame in San Francisco, but she also had started to go out into the streets in the deep Depression years. Thus she was already moving toward Paul's history-in-the-making before she met him. Their joint interests moved her all the way in that direction, and she became one of the great documentary photographers of all time. Paul and Dorothea had complementary skills but contrasting personalities. She was always moving, mostly talking, reacting in a flash, living in the moment. Paul thought carefully about everything, spoke seldom and then softly. An illustration: During the cotton picker's strike, he drove us back to Berkeley one Sunday night in my Model A Ford roadster. We stopped at a rural gas station, and he got out. Another car -- identical to mine -- drove up and the driver also got out. I was asleep in the front seat of my car and woke as the driver of the second car -- which was now missing -- yanked open the door and grabbed me by the throat. He wanted to know what I had done with his wife! Once I grasped the situation, I wanted to know what he had done with my professor! Some time later, Paul drove up and got into my car, and off we went to Berkeley. I sat there wondering: Did the wife wake up screaming? Did he suddenly realize that his research assistant was not female? All the way back to Berkeley, he never said a word. While Dorothea was not interested in politics -- she was interested in people -- Paul did have political concerns in addition to human compassion. He was appalled at mass unemployment and at exploitation in the fields and of the fields. This was not the America he had fought for in World War I as a lieutenant in the Marines, commanding a platoon with 95 percent casualties, himself one of them, at Château-Thierry and Belleau Wood. (He prized his Marine uniform all his life.) Paul was also the subject of Red-baiting due to his support of sanitary labor camps for agricultural workers and his long opposition to the illegal diversion of water intended for family farms to the owners of the vast "factories in the fields." Although Paul's original interest in Dorothea stemmed from his conception of the camera as a tool of research, their relationship became far more than a professional collaboration. It became a great love affair. Paul later said: "It was always a wonderful thing to see her. Always. Just to come into the room where she was." Years later, I would visit Paul in the old redwood house on Euclid Avenue which Dorothea had chosen for them. As Paul played Beethoven softly on his hi-fi set, we would talk about being on the ground in the Thirties. Dorothea' name would come up and Paul would sit there with tears streaming down his face as I recalled his tender words -- "just to come into the room where she was." Dorothea in her very last days said what a pleasure it was to take a picture and to see that what you have done is "true." 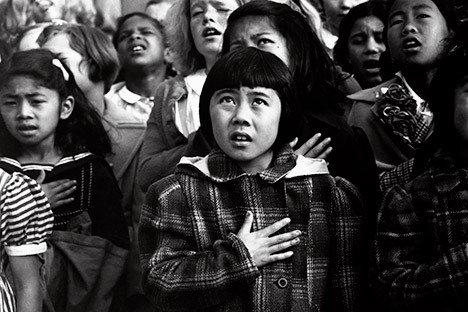 Paul and Dorothea wrote, in An American Exodus, "We have let them speak to you face to face." 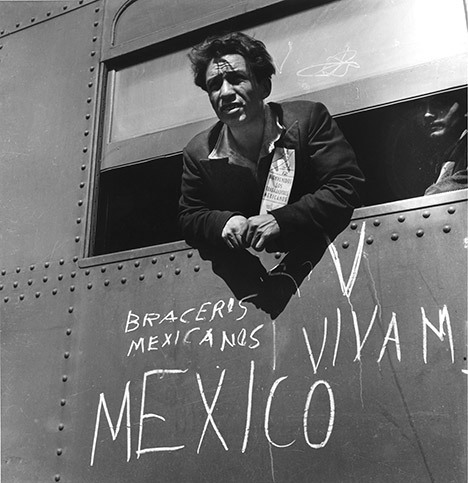 The "them" were the unemployed man in the breadline; the migrant mother and the children clinging to her; the Okie in the Model T Ford, moving west, fleeing the dust; the Mexicans living alongside the irrigation ditches; the Japanese Americans crowded into detention camps. Through the notes and the photographs of Paul and Dorothea, we are indeed brought face to face with "them" and with their histories, which are a part of the history of our nation, and we know that what we read and see is true. Reprinted with permission from the California Alumni Association, California Monthly, Dec. 1994.